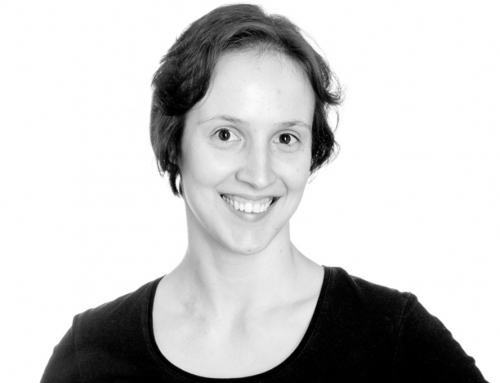 Emi, in simple terms, what your research is about? My PhD project explores “cheating” and “cooperation” by ectomycorrhizal fungi in their relationships with their host trees, known as “ectomycorrhizal symbioses”. These fungi form specialised structures on the roots of trees that facilitate nutrient exchange. While it has generally been believed that both the fungal and plant partners of the relationship act cooperatively, with the plant providing carbon to the fungi in return for nitrogen, some fungal isolates have been found to “cheat” by providing less nitrogen than their competitors for the same amount of carbon. It is not known what causes fungal cheating, whether the behaviour is dependent on environmental conditions or whether it is constitutive to the identity of the fungus, nor what the long-term effects of cheating are on the host tree. 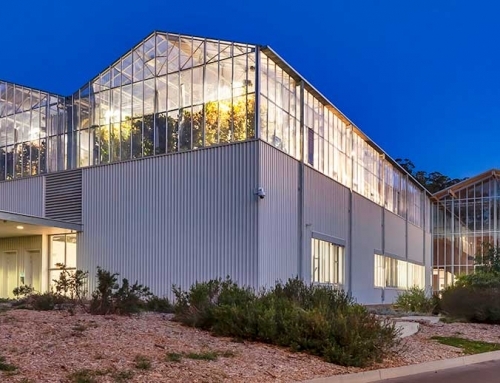 I am addressing these two knowledge gaps in my experiment using Smarthouses at the APPF’s Adelaide node, The Plant Accelerator®, to investigate the effects of colonisation by a “cheater” fungus, in comparison to a “cooperative” fungus, on the health of Eucalyptus grandis seedlings over six months. 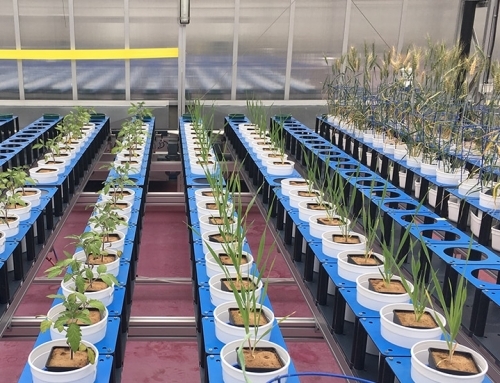 The effect of available nitrogen form on fungal cooperation is also being tested via regular fertilisation of the plants by the APPF technicians with either ammonium- or nitrate-based solutions. 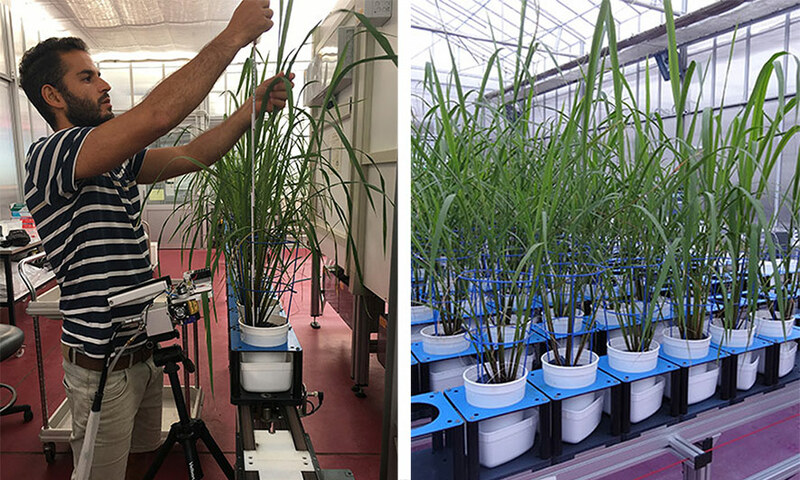 The high-throughput imaging capabilities at the APPF are allowing me to monitor plant health over time accurately, non-destructively and remotely. What inspires you to do the work in this field and what do you love about it? I’m inspired by the fact that there is so much left to discover about fungi in Australia compared to the rest of the world. The importance of their symbiotic relationships with ecologically and economically significant plant genera, such as Eucalyptus, is underappreciated and overlooked, so I’m excited to contribute to the research helping to change this. What has been the highlight of your studies so far? 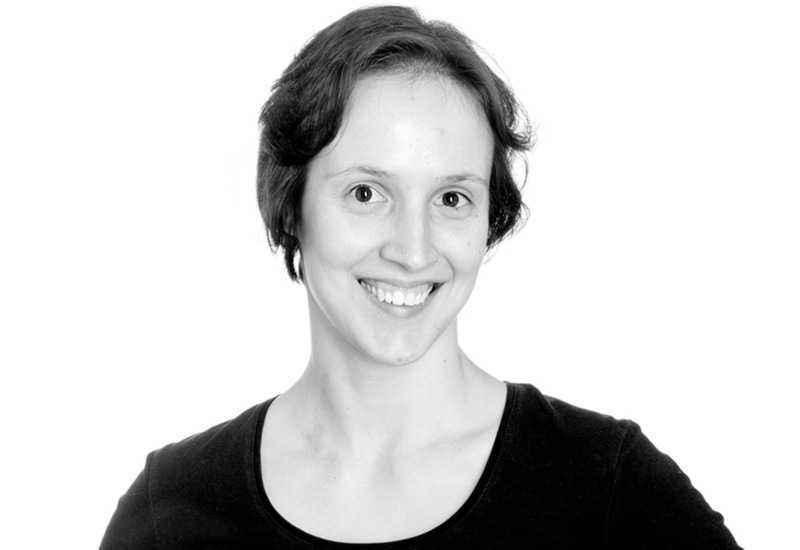 The imaging technology at the APPF was the selling point for me in applying for the Postgraduate Internship Award (PIA). I live in Sydney so it’s exciting to be able to watch my plants grow from another state through the images that I can access online via Zegami. Another major highlight has been all of the assistance I’ve received from the entire team in setting up and monitoring my experiment. 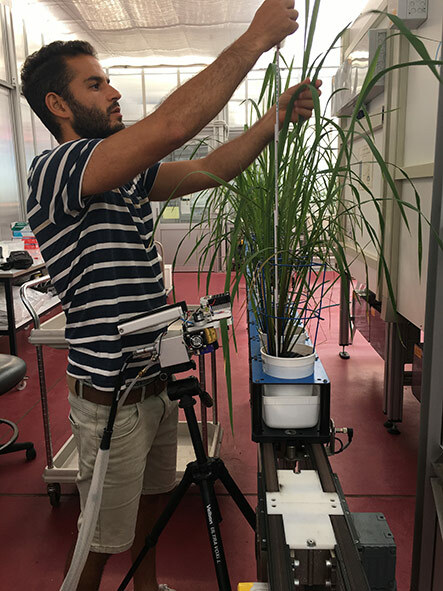 How did the PIA from the Australian Plant Phenomics Facility impact your research and what advice would you give to other students looking for similar opportunities? 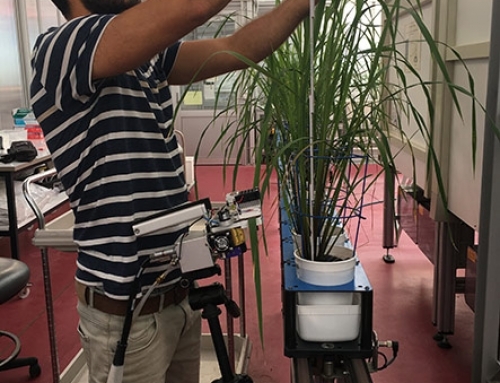 The PIA has given me the opportunity to test the long-term effects of fungal cheating on the host plant, which is a major part of my PhD project. 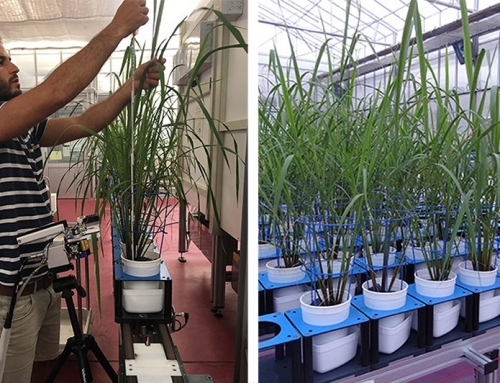 Without the imaging technology at the APPF, I would not have the resources to both perform a long-term experiment and measure plant phenotype non-destructively. 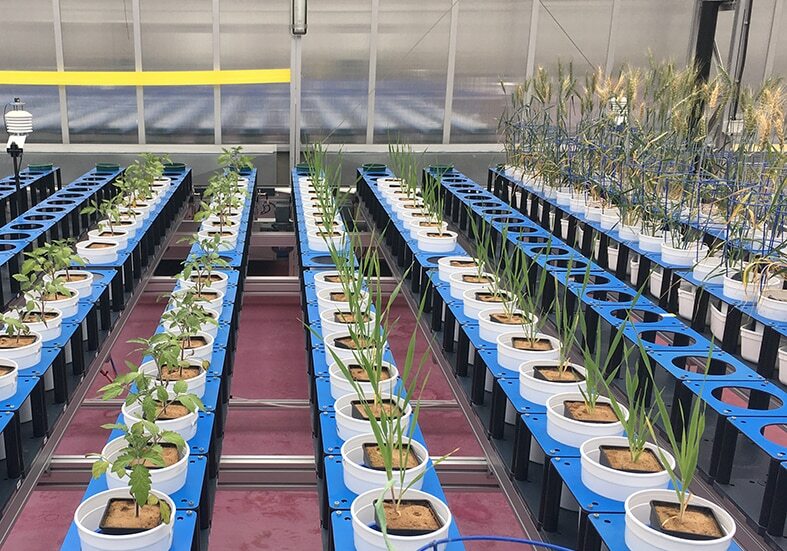 I encourage any student working in the area of plant phenomics to take advantage of this valuable opportunity. 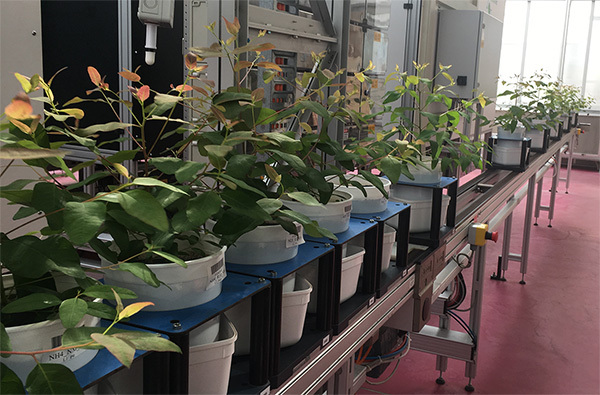 APPF PIA recipient Emi Stuart – L to R: seedling eucalypts emerging, Emi applying a bacterial wash and the eucalypts at 3 months in the high-throughput imaging hall.